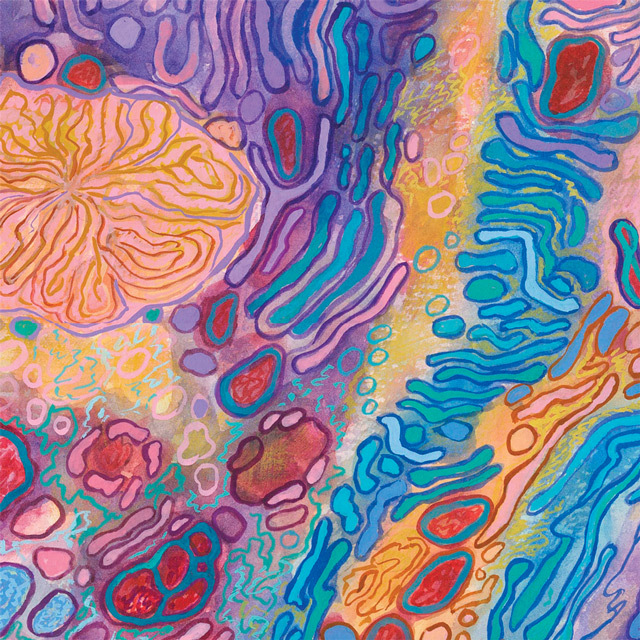 Inspiration for my art comes from biology and the microscopic world. Here one finds the amazing forms through which life manifests itself: cells and parts of cells, tissues, organs and even whole plants and insects. All these forms are infused with brilliant life-affirming colors, like the pollinators in the series “Pollinators, Pollen and Plants,” on display in at the Hannon Library of Southern Oregon University in Ashland.